Footage from vehicle mounted race cams are a videography candy store in my opinion, they give the audience an up close and personal perspective of the sports they love and their relatively cheap cost compared to some of our other camera gear means we don't mind using them in risky high powered situations. I wouldn't go so far as to classify them as a 'disposable' asset, but let's face it that IS pretty much how we treat them! The GoPro's in particular have proved to be a hardy bit of kit with a few crashes under their belts and yet no obvious problems recording still, they battle on no matter what the weather, in dust, mud and rain. 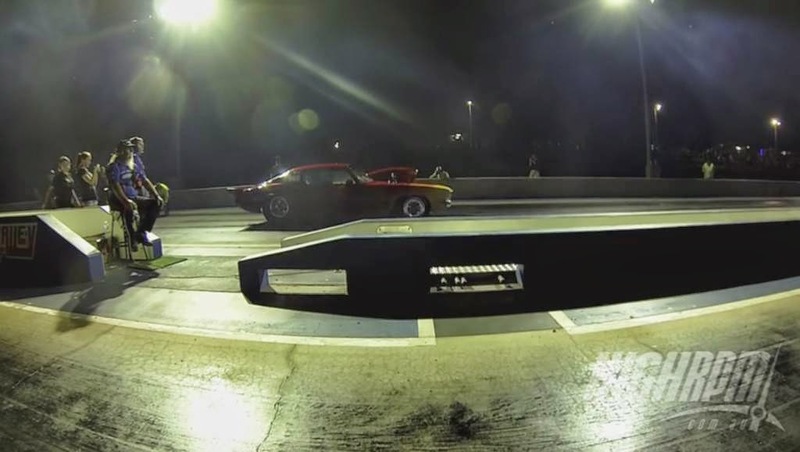 Over the recent weekend we filmed at the NT Drag Racing Titles in Darwin and I was fortunate to mount 'opponent facing' cams on a closely matched Super Sedan race in which the competitors managed to keep each other in frame for the entire quarter mile. Great racing, great footage.